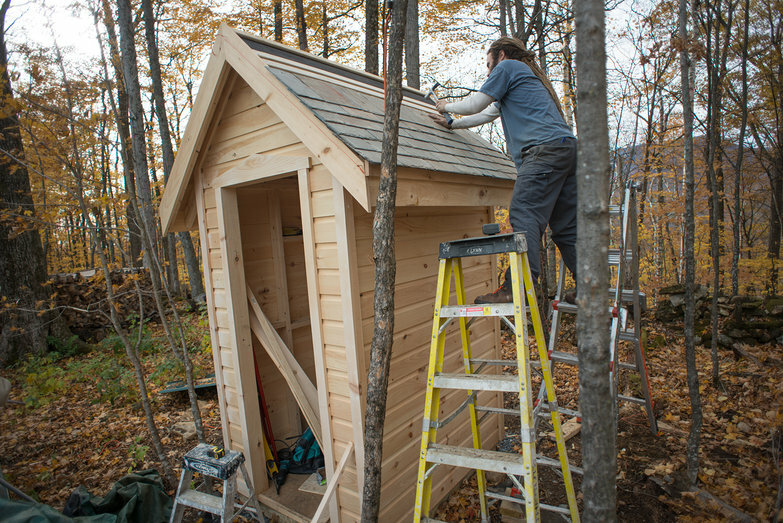 We originally planned to put asphalt shingles on the outhouse, but Tara convinced Shlomy and I to use our reclaimed slate, citing that it would be good practice for next year (when I plan to slate the roof of our cottage). 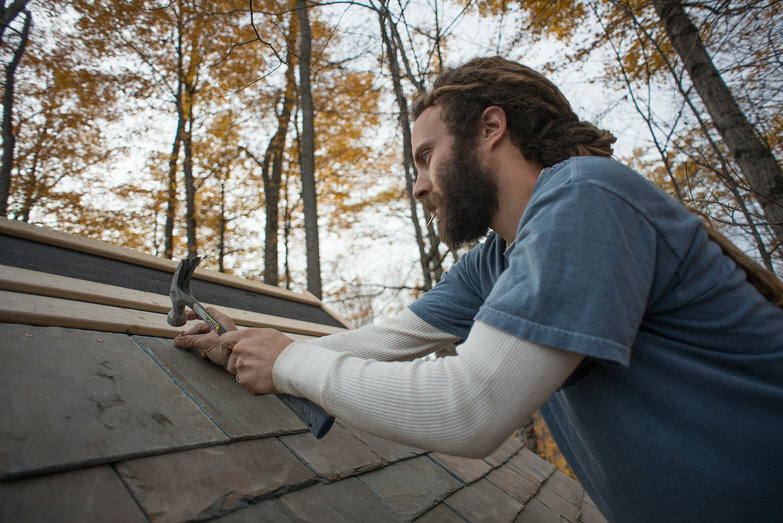 This weekend, after several frustrating false starts figuring out how to start the first course correctly, Shlomy and I managed to finish half the roof! Milling Trees into Lumber: Complete!